Plastic mold is an essential manufacturing tool to obtain plastic parts for large volume production, it's widely used worldwide for various kind of products. Nearly every products need a plastic mold tooling for manufacturing. This is why a plastic mold is also called "the mother of industry". Needless to say, you can image how important a plastic mold is. Plastic injection mold is normally made from steel, consists of cavity side, core side, injection system, cooling system, and ejection system. When injection molding process, the injection molding machine injects melted plastic material onto mold tool through the runners and gates, it solidifies on the mold tooling to obtain the desired plastic products. finally the parts is ejected off from the mold tooling by ejection system. By different usage, a plastic mold can be used for injection molding, blow molding, squeeze molding, and extrusion molding process. however our company mainly focus on custom plastic injection mold making and injection molding services. Mold – A steel(some of aluminum) made device that used for injection molding to obtain plastic parts. Cavity – The interior chamber of a mold tooling that the molten plastic material is injected into and solidified to create desired plastic product. 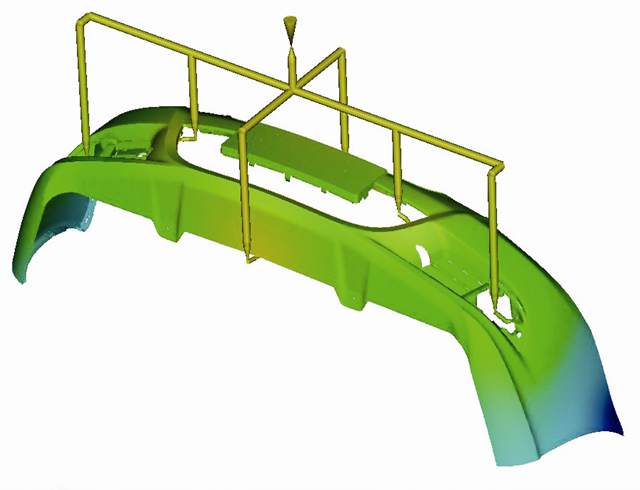 Core – A protrusion feature inside the mold tooling, which work with cavity to obtain the shape of plastic product. Mould Base – It’s a supporting plate that the mold core and mold cavity are attached inside. On the other hand, mould based is used to clamp the whole mold on the injection machine when injection molding process. Parting line – A divided line on a plastic product, which used to weld the mold cavity and mold core together. 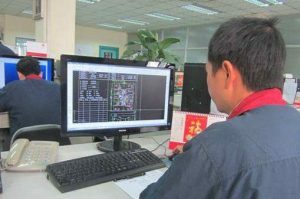 Draft – It’s an angle or degree on the plastic products, which used to easier depart the plastic product from mold tooling. Sprue – A round chamber that transfer plastic material from the nozzle through runner system in the mould tooling. Ejection pin – It’s metal shaft/pin that push off the plastic products from the mould. Gate – The channel to carry melted plastic material to flow into the mould tooling. Normally we directly out-source mold base from Chinese local mold base suppliers, since they are quick and professional, so that we can focus on mold core and other mold accessories manufacturing. 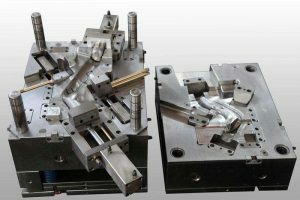 Once the mold design is finalized, we get our mold core and other mold parts manufactured by CNC machine, which is the most critical manufacturing process in the mold making. 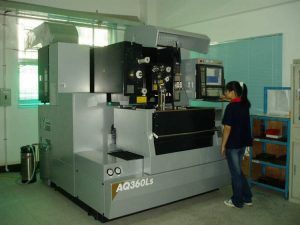 CNC machining can be divided into rough machining and precision machining. 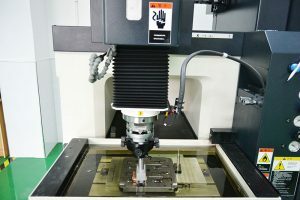 At the early stage of mold manufacturing, we will normally leave about 0.3mm~0.6mm extra material for precision CNC machining or EDM process. If needed, we will put the rough machined mold steel to be heat-treated so as to obtain desired hardness of mold steel. EDM is the most common way to achieve a desired mold features, like holes, groove, pillar,arc, etc. This process take long time, but accurate shapes as we needed. Meanwhile,wire cutting is also another important machining ways to get holes and linear features. It's widely used in mold making process. However milling and drilling machining are only used to get some mold parts accessories, like, ejection pin, sleeve, or stopper,etc. Most of time, we out-source standard mold accessories from LKM, Hasko, Yudo,EMP, HEB. but get them inspected before using. Mold polish can be notified to make the injection molding process easier, as well as surface treatment. like high polish and matt polish. After mold machining and mold parts are ready, it's the time to get all of them assembled together. We can also call it mold fitting. The direct way to check a mold is by mold trail. You can easily see how your final product to be. If any mold improvement needed, our engineering team will follow up and troubleshot those imperfections. and make the final quality products for customer review. Once the final sample is approved by clients, we will get the molds textured. Then sign off the job. Inno Molding is a high quality plastic injection mold manufacturer since 1996 in Shenzhen China, Our mold factory was certificated with ISO 9001-2008 quality system, covers about a 3,000 square meters of mold making shop, grouped with a 120-employee of high-skilled mold makers, mold designers, quality team, and project managers. Up to now, our monthly capability is 40 sets moulds, and our main market are US, Canada, Australia, and other European countries. 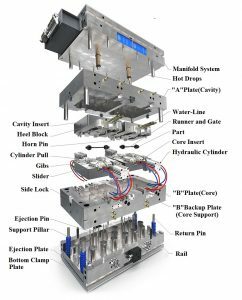 Our mold designers have more than 20 years mold design experience in automotive, medical, electronic, and industrial products, as we have been successfully offering numerous plastic moulds to worldwide customers. 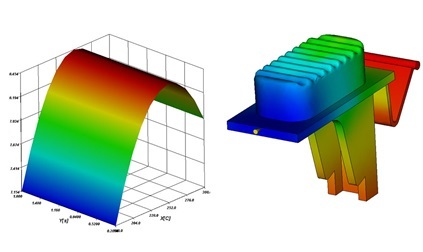 We utilize Pro/E, UG, Solidworks, Moldflow, Auto CAD for mould design as common, but our creative mold designer would provide clients most economical, high efficient, and quality-oriented design scheme. It’s essential that we will create 3D mould drawing, 2D drawing, and engineering mold part drawing for our manufacturing department to make mold. Meanwhile we will have formal ECN to record all the drawing status and modification changes. They are all filed and traceable in our documentation department. When we take over a project from our clients, our engineering team will perform a detail DFM to analyze the part structure, material, assembly process. and provide our professional comments to amend manufacturability. Most of time, we will suggest customer to add fillets, draft, add or reduce wall thickness. Since this small action will prevent flash, shrinkage, unfulfilled, injection mark, etc.In this way, we can help clients to eliminate most of common injection defects, and keep the project risk under a controllable way. If you have any project to run, please feel free to contact us.